Project Managers / Project Engineers - BE [ Civil ] / Diploma [ Civil ] with experience. GPS Operators - BE [ Civil ], Diploma [ Civil ] with experience. Senior Surveyors - Diploma [ Civil ] with experience in GPS, Total Station, Auto level / Digital level. Junior Surveyors - ITI / JOC / Intermediate / Other graduates - Freshers / Experienced. 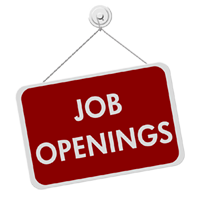 Survey Assistants - SSLC / PUC - Freshers / Experienced. Fresh/Experienced Cadidates with knowledge of Auto CAD Map/ ARCGIS/ ERDAS. Fresh / Experienced with Auto CAD Knowledge. CAMP DRESSER & MCKEE (CDM), U.K.
BANGALORE MASS RAPID TRANSIT LTD.